I feel that there are some important things to say about my recent post, A Diversity of Sight: Descartes vs. Spinoza , but I am still undecided just how deep the influence of these thoughts run. So pervasive is the metaphor of vision and light within Western metaphysics, any identification of an ocular appropriation into the field of metaphysics, and the questioning of its radical truth or application, may have far reaching interpretive effects. What may prove the advantage of this analysis is that it promotes a simplification. Like all simplifications it is misleading to take this as the whole story, but it does help us identify a core element of disagreement between the two Natural Philosophers. The difference between Descartes and Spinoza cannot be reduced to these two diagrams, of course. But there is an essential divergence in the thinking about vision as a metaphor for thought that is expressed in them. The first of these, for those uninterested in the optics under question in Spinoza’s letters 39 and 40, shows the capacity of a hyperbolic lens to focus any rays that are parallel to its central axis to a point along that axis. What the hyperbola provides is a schema for thinking about vision and clarity, the analogy of imagining that a focused image of the world that is “clear and distinct” is one where all the rays of a kind are brought to a mathematical ideal, poured into a point. We are not dealing here with all the details of lenses, and how they interact with the human eye and light in the fullness of their variety, but rather with a guiding diagram of what a lens should do – focus rays of light to a center point – and what that means for the experience of vision. 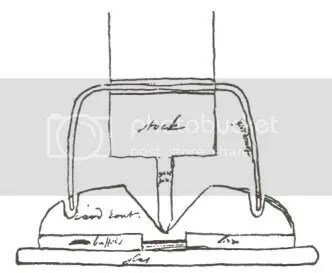 For this reason, it is best to understand that this image for Descartes is likely intuitive of directions for investigation, steering both his theories and empirical observations. The second of these is from Spinoza’s Letter 39, and works as a vivid contrast to Descartes’ Hyperbola. Instead of imagined parallel rays focusing down into an ideal point in the very center of the eye (which in some ways Descartes will conflate with the free Will), for Spinoza the Ideal Eye is one that in using the properties of a circle is able to focus rays parallel to a variety of axes (in fact, an infinity of axes). Rays coming from all directions are hoped to be focused across the back of the eye. And Spinoza sees the human eye (insofar as it does not have a spherical lens), as failing to achieve this kind of vision. Ideal mental vision, instead of being modeled upon a central point of focus, Spinoza conceives of as panoptical; that is, one “sees” as best as a human mind can the cross-section of rays as they converge from every direction upon the human being. As admitted, this is truly a vast over-simplification, for much unites these two philosophers, and the kinds of radical divergences that Spinoza makes are must more diverse than this simple diagram comparison. But really there is something suggestively profound in this contrast. For one, in that Descartes’ hyperbola inheritance may be traced to Kepler’s Paralipomena its conceptual framework should be viewed as grafted from that Neo-Platonic Ideal, opening up the question of what aporias arise under such a graft (for instance, a point of focus in a Neo-Platonic realm, does not operate with the same powers or meanings as a point of focus does within a Will-driven conception of the soul). Additionally, Spinoza’s rejection of the naturalization of the hyperbola, and the analogy of center-focused human vision, has far-reaching consequences for the reading of the place of the Self in his philosophy of power and affect. If Ideal vision occurs across a field of foci, the periphery has no less a “truth” than any center. The margin does not merely, as Kepler says, “serve” the axis – so goes the critique in so many postmodern attacks on a philosophy of Presence – hence the margin is the very place where a search for truth is made, whether it be the margin of society or a comprehensive Totality of Being. It is my hope that these two sketches of focus, one by Descartes and one by Spinoza, can help draw out the more refined differences of both philosophers, along an analogy of sight. We do not have a date earlier than 1690 for the leaded-head design of diamond polishing. Whether this is a product of the the newly imported cuts (rose and Mazarin) during that century, or if the leaded-head was already natural to the design, I do not know. 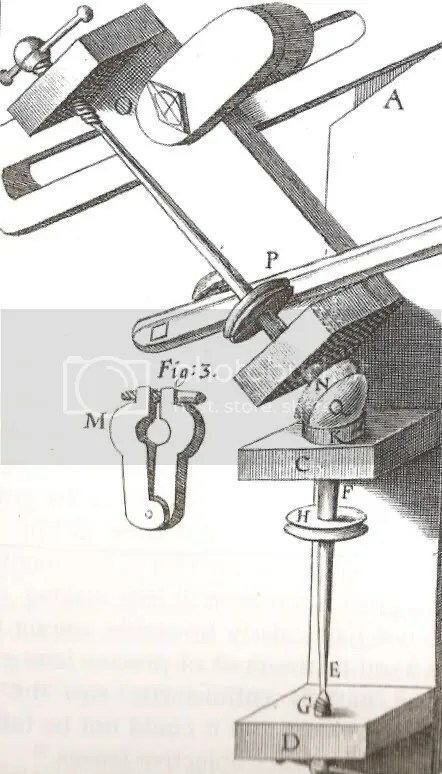 This juxtaposition of illustrations is just to open up the question of influence from jeweler’s wheel to lens-grinding conceptions. 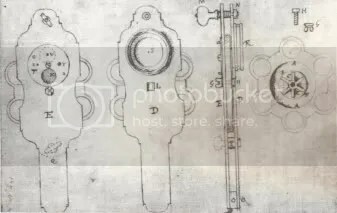 What this has to do with Spinoza is that it poses the question as to the technical milieu in which Spinoza may have learned his craft, and the possible reasons for Spinoza’s resistance to assisted or automated lens-grinding machines. 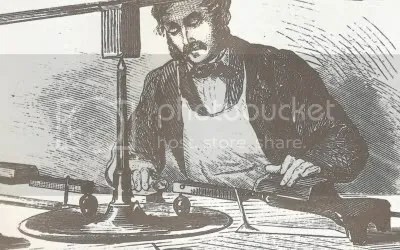 If diamond polishing formed any part of Spinoza’s introduction to lens-grinding, then the relationshp between the techniques of the one to the other many inform our understanding of Spinoza’s thinking. 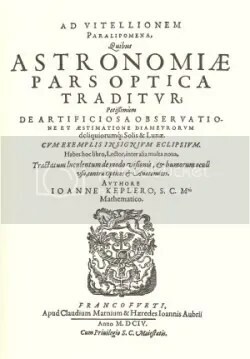 This may be premature in my process, but I would like to set down some simple correspondences that have arisen in my reading of Kepler’s Paralipomena to Witelo (1604), correspondences that elicit strong tidal differences between Descartes’ approach to vision – with its attendant metaphysical counterpart, the clear and distinct Idea – and Spinoza’s. That this is found in some of the historically least interesting of Spinoza texts, what has been taken by many to be Spinoza’s blundering into optical theory [ letters 39 and 40 to Jelles, full text ], is suggestive of Spinoza’s critical brilliance. For within Spinoza’s conception of optics and his close-cut rejection of Descartes reasoning seem to be important radical divergences, insofar as vision and light are understood to be more than analogous of metaphysical truths. In these letters Spinoza questions the very vision-philosophy that privileges a central-line of axis, one that fundamentally connects a viewer within to an external and opposing point: a hidden, underpinning assumption of Descartes’ mathematization of the experiential self, Will and the world. Though there is much in Descartes’ philosophy that substantially departs from the Perspectiva epistemology tradition, his enthused embrace of the powers of the hyperbola embody a grounding of the eye, (and therefore the mind), in a centralized perception and knowledge upon which Spinoza places his criticism. I have not encountered any analysis which shows that Descartes’ enthusiasm for the hyperbola derives directly from Kepler’s Paralipomena, yet as I am not fully familiar with the literature perhaps this is a commonplace understanding. Gaukroger, for instance, gives evidence that Descartes read this text around 1620, and allows three possible points of influence, but does not speak to the potential influence of Kepler’s offer of the hyperbola as a natural normative of vision. 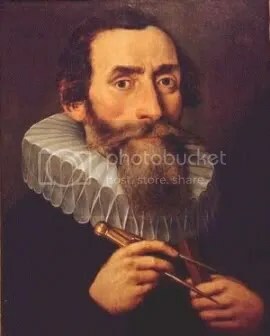 Yet in the process of reconstructing Spinoza’s conceptions in these two letters of objection to Cartesian optics this connection with Kepler owes be fleshed out. One will see that in the Paralipomena Kepler not only sets out the virtues of the hyperbola’s anaclastic line in terms of its resolution of spherical aberration from focus – the primary and crowning demostration of Descartes’s 8th discourse of La Dioptrique – but he also naturalizes the hyperbola, claiming that the hyperbolic shape of the posterior of the crystalline humor is the very thing that helps establish the soul’s satisfaction with centered-object viewing. 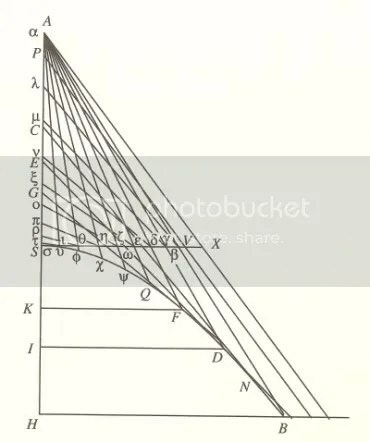 In fact, the wide sweep of Descartes’ metaphysics and optics in brief seems signaled by Kepler in his treatment of the hyperbola. And, because I suspect that Spinoza has Kepler’s descriptions in mind when responding to Jelles, making an argument for the importance of a radii of axes of perception, and emphasizing the importance of the angle of incidence in the measure of magnification (see letters linked above), his alternate response to Kepler provides a valuable clue to the stake Spinoza is making against Descartes, both in philosophy and science. In short, Descartes makes a virtue out of the Kepler’s description of the hyperbola and the eye, and Spinoza makes it something of a flaw or limitation. What is required is to say what sort of surface it is upon which these radiations in this position coming forth from α, so that they strike just as do here the lines βλ, μγ, and so on, so that these lines are either tangents to that surface, or lines equidistant to the tangents…These, moreover, are found only in the hyperbola, not in the parabola, which tends toward a straight line parallel to the axis, not one meeting the axis, as X A here. (107-108). 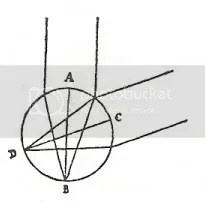 Not to get lost, were are simply establishing that Kepler points out the solitary characteristic of the hyperbola which will make a lens of this shape central to Descartes’ ambitions for providing aberration-free vision through hyperbolic lenses. On the posterior side…[the] figure is a hyperbolic cononoid, a hyperbola rotated on its axis. For [Johannes] Jessenius thus relates, that it is not spherical as [Felix] Platter said but that it protrudes markedly, and is made oblong stretching up almost into a cone; and that on its anterior face it is of a flattened roundness…(167). …so the sides of the retina use their measure of sense not for its own sake, but whatever they can do they carry over to the perfection of the direct vision. That is we see an object perfectly when at last we perceive it with all the surroundings of the hemisphere. On this account, oblique vision is least satisfying to the soul, but only invites one to turn the eyes thither so that they may be seen directly (174). The “surroundings of the hemisphere” invite our eye from to this or that. Oblique vision proves satisfying to the soul only to the degree that it inspires the eye to turn its hyperbolically-aided central axis across its field. The concept is that the deprivation of clarity somehow drives the soul to complete its picture. This is an important point when considering the influence of vision as a primary analogy for Cartesian metaphysics. Lastly, Kepler will place the facts and inclinations of vision within the context of the powers of hyperbolic focus, and he does this in such a way that it would seem sure that when Descartes looks to solve the problem of spherical aberration he would see in the hyperbola a natural bias towards centralized focus. Proposition 24 – Rays converging towards some single point within a denser medium are gathered by the hyperbolic conoidalsurfacebounding the medium to one single point, closer than the former point…These two things [two requirements], however, are accomplished, not by one or another circle but by conic sections…Further, of the conic sections, only the hyperbola or some line very close to it, is the measure of refractions, as was shown in Sect. 5 of chapter 4. Indeed, this very thing was demonstrated there: that the surface making all the rays outside the denser medium parallel is a conoid that does not differ from hyperbolic (198). Hence it is evident nature’s plan concerning the posterior surface of the crystalline humor in the eye. That is, she wished to gather all the radiation of any visible object entering the opening of the uvea [pupil] into a single point of the retina in order both that the point of the picture might be all the more evident, and that the rest of of the points of the picture might not be confused by extraneous rays whether stray or gathered together. – Chapter 5, proposition 24, corollary (199). To pull back for a moment. If this analysis is correct, that a decisive rift in Cartesian philosophy could be seen in Spinoza’s letter to a friend discussing what at most appears to be a trivial oversight on Descartes’ part is striking. Many scholars seem to have struggled over the meaning of Spinoza’s words in these letters (39 and 40) sensing that there is an elementary blunder in Spinoza’s thinking, but, as seen in their lack of a careful examination of it, there is an inability to locate just what this blunder would be. Instead, because Spinoza has been read as solely a metaphysician, his foray into optical matters in these two letters was largely dismissed as Spinoza simply wading in too deep a water. With very few exceptions, most only assumed that Spinoza was unfamiliar with the issues at stake, and his in-concordant use of terms appeared to prove this; yet a change in scholarship is occurring. Perhaps our examination of these two letters can add to this shift of perspective. Spinoza is extolling the comprehensive capacities of spherical refraction, and his embrace of this concept marks out a distinct divergence from Descartes’ naturalized emdorsement of a center-focused vision. Descartes will develop a theory of clear and distinct thinking which narrows the field of mental vision. This vision is imagined to be in concert with what Nature had planned in having given the eye its own hyperobolic lens; conversely, Spinoza will take from Descartes the notion of “clear and distinct”, but the concept of vision in which it is to be deployed is dramatically different. Spinoza emphasises the clarity of a connective, hemispherical scope; Descartes is aimed at the close focus on the surest of things. Rule 9: We must concentrate our mind’s eye totally upon the most insignificant and easiest matters, and dwell upon them for long enough to acquire the habit of intuiting the truth distinctly and clearly. …We can best learn how mental intuition is to be employed by comparing it with ordinary vision. If one tries to look at many objects at one glance, one sees none of them distinctly. Likewise, if one is inclined to attend to many things at the same time in a single act of thought, one does so with a confused mind. Yet craftsmen who engage in delicate operations, and are used to fixing their eyes on a single point, acquire through practice the ability to make perfect distinctions between things, however minute and delicate. The same is true of those who never let their thinking be distracted by many different objects at the same time, but always devote their whole attention to the simplest and easiest of matters: they become perspicacious. There is only one other condition which is desirable on the part of the exterior organs, which is that they cause us to perceive as many objects as possible at the same time. And it is to be noted that this condition is not in any way requisite for the improvement for seeing better, but only for the convenience of seeing more; and it should be noted that it is impossible to see more than one object distinctly at the same time, so that this convenience, of seeing many others confusedly, at the same time, is principally useful only in order to ascertain toward what direction we must subsequently turn our eyes in order to look at the one among them which we will wish to consider better. And for this, Nature has so provided that it is impossible for art to add anything to it. 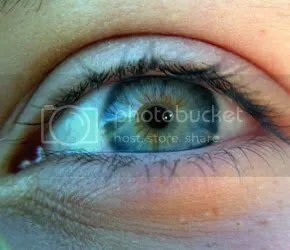 I have still to warn you that the faults of the eye, which consist in our inability to change sufficiently the shape of the crystalline humor or size of the pupil, can bit by bit diminish or be corrected through practice: for since this crystalline humor and the membrane which contains this pupil are true muscles, their functions become easier and greater as we exercise them, just like those of other muscles of our body. 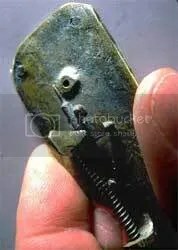 And it is in this way that hunters and sailors train themselves to look at very distant objects, and engravers or other artisans who do very subtle work to look at very close ones. E2p48 – In the mind there is no absolute, or free, will, but the Mind is determined to will this or that by a cause which is also determined by another, and this again by another, as so to infinity. Descartes’ notion of looking with the “Mind’s Eye” requires learning what distinctness is in terms of our experience of human vision, a lesson that requires that we focus closer and closer upon obvious things, training our eye to become more and more exact, a lesson which in turn gives us to understand the centrality of the focus of a single axis, and the use of a breadthof vision as merely the field for a freedom of choices; yet in Spinoza the human eye itself is seen as “inexact” in its singular axis of focus. And looking with the Mind’s eye is for Spinoza not so much a process of learning to see clearer and clearer pictures, (or even holding one clear idea or another in mental vision), but rather learning to look in a way quite unlike the way of the human eye, within a matrix of conceptual understandings; and this matrix is one which decenters the central axis of vision (and one could say the “self”), strives to achieve something akin to an infinity of axes of vision, (nothing more than a breadth understanding of the order of Adequate Ideas and thus the causes of the phenomena we witness, and that we affectively experience). While Descartes would say, following closely our analogous experiences of human vision, that seeing more is not seeing better, Spinoza would say that one is only seeing better if one is seeing more: hence his thought moves very, very quickly to the intuition of the Adequate Idea of God. The web of truths that “Mind’s eye” vision focuses on is a breadth of vision, governed by a comprehension of determined causes. And in a sense, this begins with God, God as a totalizing reality of Being from which we are not separate. A field of vision, which for Descartes provides an array of choices which an axis-eye then willfully judges and picks its way through, for Spinoza is an incandescent weave of causes and effects, any adequate understanding of which leads to all others. It is a spherical conception of a refraction along an infinity of axes, in which the Will plays no part. What configuration of mind of mind allows natural light to coalesce into a clear and distinct idea? The answer…is hyperbolic doubt. If once we saw, as in a glass darkly, and if at some (beatific) point we will see face to face, for the time being the best we can seem to do is to see through the right kind of glass that one that does not distort or obscure: and this just might be, at least least initially, the focusing glass of hyperbolic doubt. To play out the suggestion then: Descartes greatest scientific success lay from his perspective, in his systematic investigation of optics and the perfection of human vision those investigations promised; his optics presented an instanteous light that could be focused into clear and distinct images by means of the imposition of ahyperbolic form. Descartes’ greatest philosophical success lay, from his perspective, in a systematic investigation of the human mind and the perfection of cognitive operations those investigations promised; that the human mind received, via natural light of reason, an instanteous, clear and distinct illumination, but only by means of the interposition of another hyperbolic focusing device – the hyperbolic doubt. I do not wish to overemphasize the signification of the parallelism, tantalizing as it is. Following Gaukroger’s reconstruction of Descartes’ psychology [Descartes, an intellectual biography ], a quite elaborate extension of the hyperbolic (lens)/hyperbolic (doubt) analogy would be possible. In Gaukroger’s reading, the imagination mediates between the pure intellect and the realm of the senses, and the experience of cognition inheres in this intermediate faculty, which represents the content of the intellect and the content of the senses both as “imagination.” Where these two map onto each other the experience is that of “perceptual cognition.” As the project of hyperbolic doubt is abundantly imaginative, and as Descartes has insisted that the natural light of reason does not stream down from God but is within our intellects, it would be possible to argue that the imagination plays the role of the focusing of the hyperbolic lens, and receives the light emanating from the intellect, which normally enters the imagination confusedly, quickly distorted by the “blinding” profusion of imagery from the senses (126-127). Indeed, if we follow professor Burnett’s conclusion, and allow it to have a substance greater than mere lexical coincidence, we find that when armed witha knowledge of Kepler’s antecedent approach to the hyperbola such a reading begins to cohere. Descartes’ embrace of Kepler’s hyperbola of the human eye shows that “extreme doubt” and the focus of the Will that it accomplishes is for Descartes truly both a mechanism for focusing the mind upon simple truths and a naturalized legitimization of a will-centered, single axis organized perception. 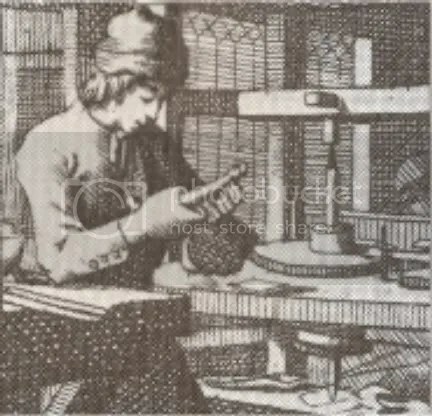 What professor Burnett intuited through his study of Descartes’ life-long pursuit of an automated, hyperbolic lens-grinding machine, is given traction when the genealogy of Descartes’ conception of the importance of the hyperbola is traced back to Kepler, its orgin. And this is exposed in two almost-ignored letters written by Spinoza on a subject he long had been considered deficient in, as the force of Spinoza’s attack upon both Descartes’ metaphysics andhis optics is to be considered as being of one cloth. Spinoza has Kepler in mind because Descartes had Kepler in mind. This is suggestive of the power of Spinoza’s critique, and the level at which he carried it forth. It touched not only the abstraction of Descartes’ metaphysics, but also the optical-theory origins of Descartes preoccupation, that human vision was somehow naturally hyperbolic and therefore offering a guide toward the perfection of the mind. Because our inheritance of the optical trope of human vision is so rooted in our conceptions of the world, and our acceptance of Descartes’ approach to thought and mechanism is so pervasive, Spinoza’s optical critque proves promising of a radical importance at the very least. None of this goes any distance toward proving whether Spinoza’s critique of Descartes in letters 39 and 40 was correct in the terms he meant it by, speaking of how light and lenses behave. Clearly Spinoza was well informed about the nature of Descartes’ claim as to the importance of the hyperbola. He had read and followed Johannes Hudde’s Specilla circularia, which dismissed the importance of spherical aberration in a mathematically exact way, minimizing Descartes’ impractical solution; and he was likely familiar with ChristiaanHuygens’ own complaints about Descartes’ failures in treating telescope magnification accurately. Additionally, it seems quite likely that Spinoza was familiar with the Ur-source of Descartes’ own embrace of the hyperbola, Kepler’s Paralipomena to Witelo, since he addresses specific terms of its explanation, and the argument he presents in brief cuts to the quick of the virtues of the hyperbola presented there: the idea that the human eye’s hyperbola somehow expresses Nature’s plan which in Cartesian hands would naturalize a priorty of a single-axis, will-driven priority of focus and choice. By arguing for the “inexactness” of the eye, Spinoza is undermining a primary vision/knowledge metaphor which helps form part (but most certainly not all !) of Descartes’ metaphysics of clarity. There are therefore a few questions that remain. For one, Kepler does not merely serve as a source for a negative critique of Descartes, insofar as he has followed Kepler. 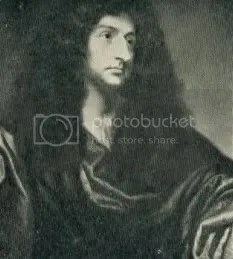 For instance Kepler’s conception of light in many ways diverges from Descartes’, and could be said to have concepts which presage Christiaan Huygens’ own wave theory, which would eclipse Descartes’ optics. It remains to be seen if Spinoza’s optical understanding stems directly from Kepler in a positive sense, that is, if Spinoza’s holds optical concepts which were superior to Descartes’ theories due to Kepler’s influence. Spinoza has used Kepler to undercut Descartes’ metaphysics, but where does Spinoza stand in terms of contemporary optics? For this to be answered, Spinoza’s praise of the versatility of an infinity of axes has to be set up against the contemporary science of telescope construction. For though Descartes’ hyperbolic lenses were nearly impossible to make at that time, in theory at least they would have offered an advantage. 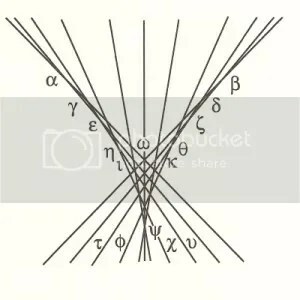 Spinoza’s objection is that Descartes is incomplete in his analysis of magnification, and that the capacity of a lens to handle a variety of axes is important in compound telescope magnification. Such a possible importance remains unaddressed, though all existing telescopes obviously achieved their magnification without hyperbolic lenses (and notably, Christiaan Huygens had privately solved the issue of spherical aberration using only spherical lenses in the summer of 1665, when Spinoza and he were closest). 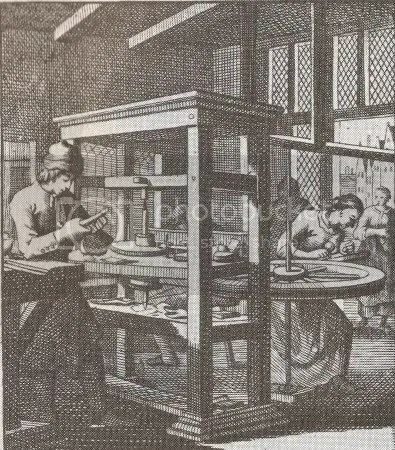 The other question that remains is to determine the large scale consequences of Spinoza’s rejection of a naturalized, single-axis concept of hyperbolic vision, upon his own preoccupation with lens-grinding and instrument making. The grinding of a lens, after all, is exactly the kind of “craftsman” or “artisan” practice that Descartes lauded in his 9th Rule, one that lead to an acuity of vision. The purpose of a lens is most often to achieve a magnification which concentrates the vision at a local point. And this is the mode of narrow focus to which Spinoza seems to making his objection. 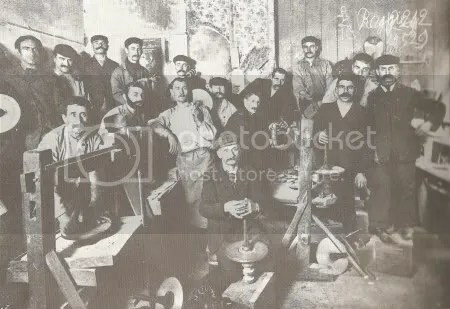 But if we allow the analogy between craftwork and mental tools found in the works of both Descartes and Spinoza, the careful refinement of a proposition, such as those found in Spinoza’s Ethics, would be read as a kind of development of perspicuity. Permitting the Ethics to stand as our model for complex, intricate knowledge, by analogy any grinding of glass into a polished shape must be seen as part of an interlocking of all other actions, ideas and material states; for just as there is extensive cross-reference in Spinoza’s Ethics, Spinoza’s own daily preoccupation with lens-grinding and instrument building must be seen as cross-referenced to an infinity of other causes and actions, all leading to an theorized increase in freedom. 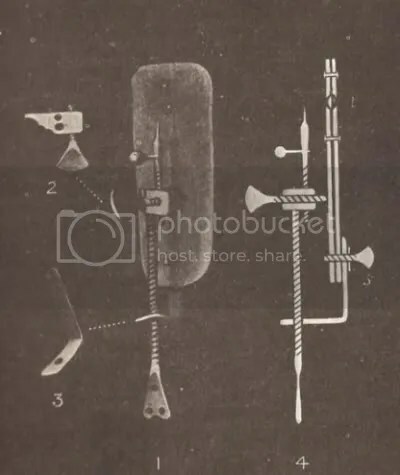 As Spinoza clarified a piece of glass and made it capable of magnfication, was it that he was concerned not just withthe the lens, but how this magnification fit with other lenses, in devices, with phenomena to be discerned, and the Ideas we hold as we use them? It would seem at that this is so, but this question has to be answered more fully. 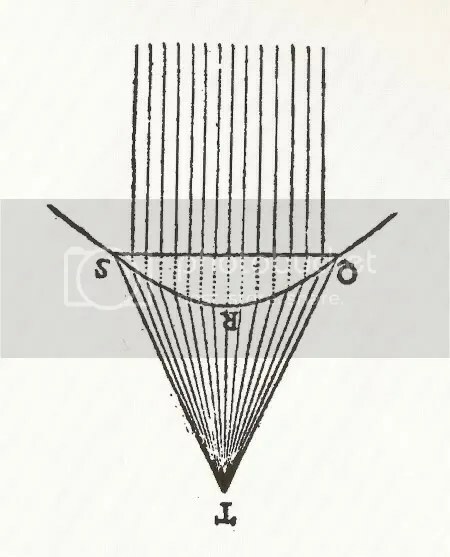 Spinoza explained that light rays from a relatively distant object are in fact only approximently parallel, since they arrive as “cones of rays” from different points on the object. 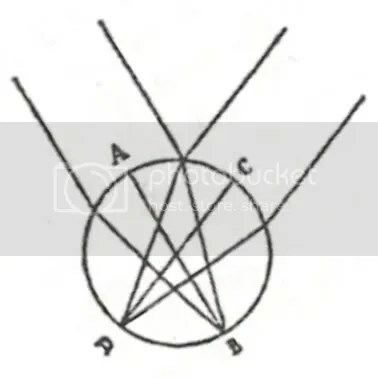 Yet he maintains the same property of the circle in the case of ray cones, apparently unaware of the importance of the “[other] figures” [the famous “Ovals of Descartes”] that Descartes had constructed in Book 2 of La Géométrie to provide a general solution to the problem of spherical aberration [Ep 40]. I have already pointed out that Spinoza indeed was not “unaware” of the “importance” of Descartes’ figures (since he was intimate with the debate over that importance), and that part of Gabbey’s difficulty may stem from a weakness in translation, or not taking into account Spinoza’s familiarity with Hudde’s Specilla circularia: here. Spinoza, all the same, is constructing an argument that seems to shift parameters. In Letter 39 he speaks of the capacity of spherical lenses to focus parallel rays to an (approximate) point of focus opposite, along an infinity of axes, and now he tells Jelles that this capacity is to be understood not for parallel rays, but for “cones of rays”, which is more accurate to what is actually occurring. Where does Spinoza get his conception of “cones of rays”? Now in order to approach closer to the way this picturing happens, and to prepare myself gradually for the demonstration, I say that this picturing consists of as many pairs of cones as there are points in an object seen, the pairs always being on the same base, the breadth of the crystalline humor, or making use of a small part of it, so that one of the cones is set up with its vertex at the point seen and its base at the crystalline (though it is altered somewhat by refraction in entering the cornea), the other, with the base at the crystalline, common with the former, the vertex at some point of the picture, reaches to the surface of the retina, this too undergoing refraction in departing from the crystalline. And all the outside cones come together at the opening of the uvea [pupil], at which space the intersection of the cones takes place, and right becomes left.. It must be noted, though here is both a most significant implication of the cone of light having a spherical (wave? )front, something ungrasped by Descartes but captured later by Huygens, in the text that follows as Kepler closely describes this action of cones of rays in the eye, he emphasizes the “hyperbolic posterior surface of the crystalline” (171), possibly disturbing the cohesion of Spinoza’s purely spherical ideal of light refraction. If indeed Spinoza is taking Kepler’s description as his source, this gives us to consider how Spinoza might mean the inexactness of the construction of the eye (letter 40). In what way can the eye be considered imperfect, and is there a Kepler source for this notion? Here Kepler seems to be making the exact same point as Spinoza, with an additional hint towards the necessity of the oblique in Spinoza’s concern. The construction of the eye, in so far as its lenses are aspherical, it is retarded its capacity to handle the focus of cones of rays oblique to its single axis. This first calls our attention to the limits of human vision (in individuals and in plan), and then suggests that Spinoza’s point is one of practical application in terms of lenses: that in aiding human vision and constructing telescopes, the symmetry of spherical lenses is preferred for magnification, handling a greater variety of angles of incidence through its infinity of axes. This does not of course establish the veracity of Spinoza’s argument, but in locating a likely origin for Spinoza’s conception, we at least place Spinoza’s argument within the context of a larger view, to be weighed with all other anti-hyperbolic (Cartesian) positions of his day (Hudde, Huygens). As I have said, it is my sense that Spinoza derives more than this from Kepler’s account of light. More posts to follow. Rule 8: If in the series of things to be examined we come across something which our intellect is unable to intuit sufficiently well, we must stop at that point, and refrain from the superfluous task of examining the remaining items. 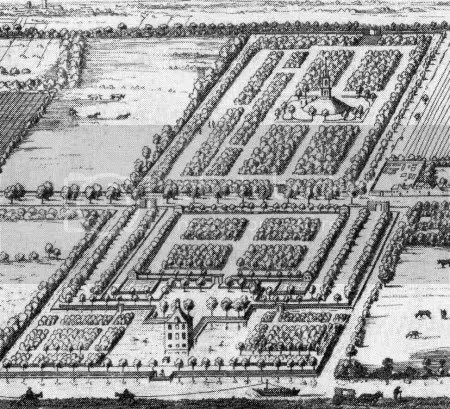 It is tempting to imagine that having seemingly met and discussed with some enthusiasm issues of astronomy and microscopy in late April of 1665, Spinoza may have visited often with Huygens at his country estate which was some 10 minutes walk from Spinoza’s rooms on Kerkstraat. Aside from issues of social standing, Spinoza as a maker of telescopes and microscopes, surely would have wanted to talk with Huygens on the state of the art of the day, and further, Christiaanin esteem and sharing may have wanted to share the facts of his experiences of discovery with his most compelling neighbor. But we must ask, what could Spinoza and Huygens have seen, if they had looked through a telescope together? It is probably without doubt that Huygens had set up one of his long telescopes permanently on the estate, for though he had not made astronomical discoveries for nearly decade, issues of significance were happening in the sky. In the Winter of 1664-5 a brilliant comet had showed itself, and then another in March 27thof ’65, the last being visible to the naked eye for a month. 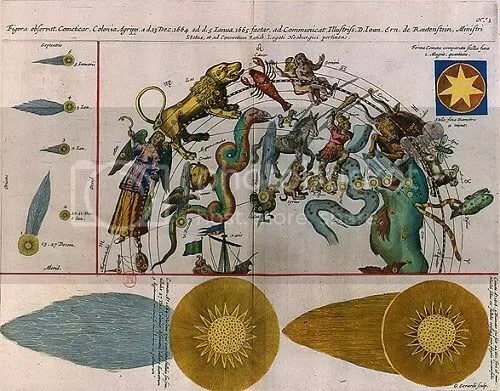 These were occasions not only for religious fervor, and signs of the end of Times, but also windows into the structure of the universe, events to observe closely so to feed the growing theories on the nature of cosmic bodies and their travel. Plague and war was rife, and yet and imperative of knowledge was blooming. As a general note, everyone’s eyes were on the sky, and Huygens’s telescope most surely was trained there. Aside from the striking sky pyrotechnics of comets, there is further in evidence that the sky was still much on Huygens’ mind in the summer of 1665. 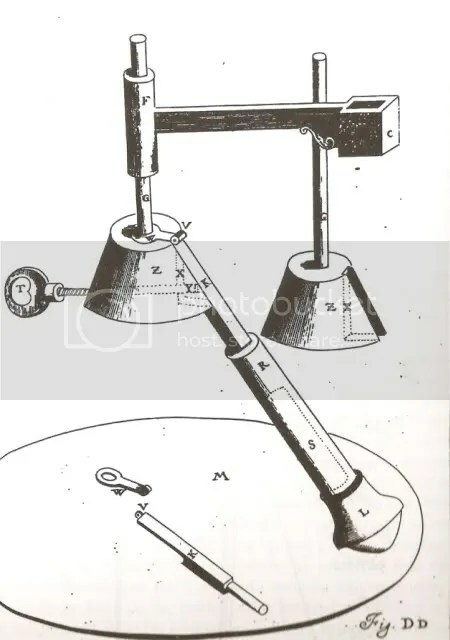 As recently as 1660-1661 Huygens was busy defending the power and accuracy of his telescope to the accusations of fraud come from the famed Italian telescopist Divini. (Huygens had controversallydiscovered the rings of Saturn in 1656, lead to them by his discovery the moon of Saturn later to be named Titan, in 1655, which he regarded as “my moon”.) Withthe existence of the Saturn’s rings still in dispute, evidence for them resting solely on the strength of his telescope, the prestigious Prince Leopold of Tuscany had twice proposed a paragone, a face-off field test between Huygens’s telescope and Divini’s, before persons of high social status, an offer that Huygens each time refused. In this vien of concerns, Roger Hahn in “Huygens and France” suggests as quite likely that Huygens continued interest in the telescope in April of 1663 lead him to the house of Adrien Auzout in Paris, and to a group that included Pierre Petit who were working on a 80 to 100 ft. telescope under the promise of seeing Huygens’ rings of Saturn more clearly. Then, what must have been a great relief to Huygens, in April of 1664 the rising Italian telescopist Campani himself faced the arrogant and well-connected Divini in a paragone, and definitively defeated him, soon after publishing a confirmation of Huygens’s Saturn findings through the report of the shadow of the questionable rings (look closely at the wording of Spinoza’s letter 26, where this shadow is mentioned). Following this history of observation and dispute, Spinoza writes of his early meeting of Huygens in May of 1665, and their talk of issues of astronomy. He mentions in his letter their discussion of the rings of Saturn, as well as the eclipses of Jupiter. With Saturn, comets and Huygens’s telescope in the forefront of the last years of European astronomy, and fresh to their friendship, one can easily imagine Spinoza having walked the ten minutes to the Huygens estate (pictured below), as the sun was lowering into the late evening of a long summer day, in order to look through the long-contested and now vindicated device. 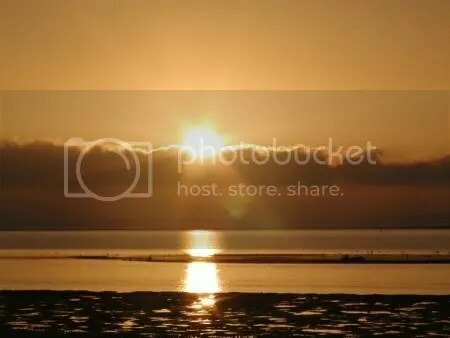 The sky would not have completely lost the sun’s light until just after 11:30. If we imagine the night to be something like that of July 13th, there would be no moon. The canal’s lapping could be heard perhaps from the upper story, and somehow too the breadth of the property, the rush of the breeze across the rows of orchard and bush, so symmetically laid forth. Dark shadow-lines set out in geometry, ringing faintly as if strings. Here, would not Christiaan Huygens have trained his telescope on Saturn, the home of his distantly reached sight of rings, and a moon he had discovered? How many times had he looked at it? Saturn happened to be at its zenith on this night, due South, low on the horizon as the sky blackened. Christiaan had carved into the lens withwhich he had seen Saturn’s moon and rings with a line from Ovid: Admovere oculis distantia sidera nostris : They carried distant stars to ours eyes. This would have been a remarkable moment for Spinoza as he contemplated the Infinite. East on the ecliptic there was Jupiter. Would they not have focused then on that great planet, having discussed the discovery of its eclipses only a few months earilier? Would not the glass telescope have brought to two great, but quite distinct minds into intersecting conversation. Neighbors of such diversity, such disjunction, living a short walk from each other, stretched thin across the solar system by means of a glass and metal? Would Huygens have mentioned, tipping that lens to its precise point, that he believes that light moves in spherical waves?